As a founding director of McIntyre & Associates, Brent provides accounting and auditing services to a wide variety of owner managed businesses and not-for-profit organizations. Brent also oversees all tax planning and compliance matters in the firm's tax department. His areas of expertise include Canadian personal tax, dispute resolution with CRA, international taxation, research and development tax credits and taxation issues related to company reorganizations. Brent began his career as an accountant in 1986. 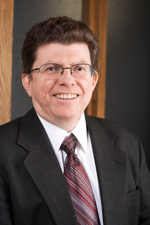 He holds an MBA from the University of Ottawa and received his Chartered Accountant designation in 1988. Brent has completed the CPA Canada In-Depth Tax Course. Married with two sons, Brent enjoys spending time maintaining his fish pond which is stocked with koi, and pursuing recreational activities with his family.